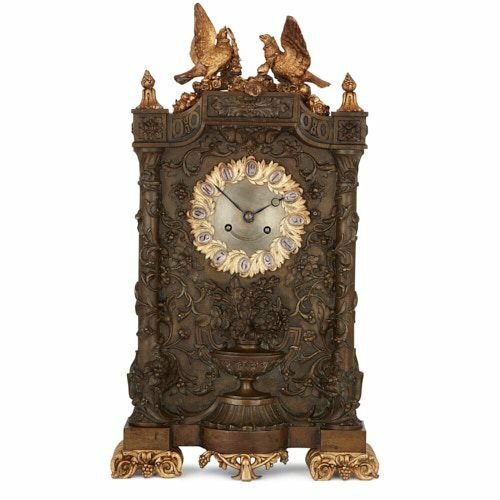 This beautiful bronze clock is highly ornamented with a classical vase, scrollwork and foliate motifs, and is topped by a pair of gilt bronze love birds. 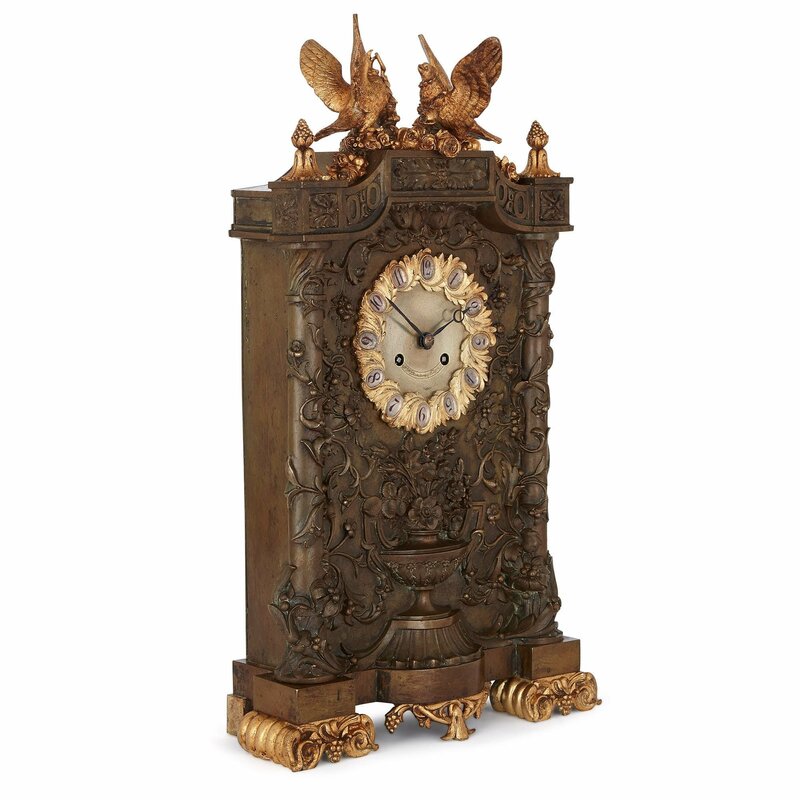 This charming clock was crafted circa 1840 by Jean-François Denière, the famous craftsman who founded the famous Parisian bronze factory, 'Denière & Fils'. 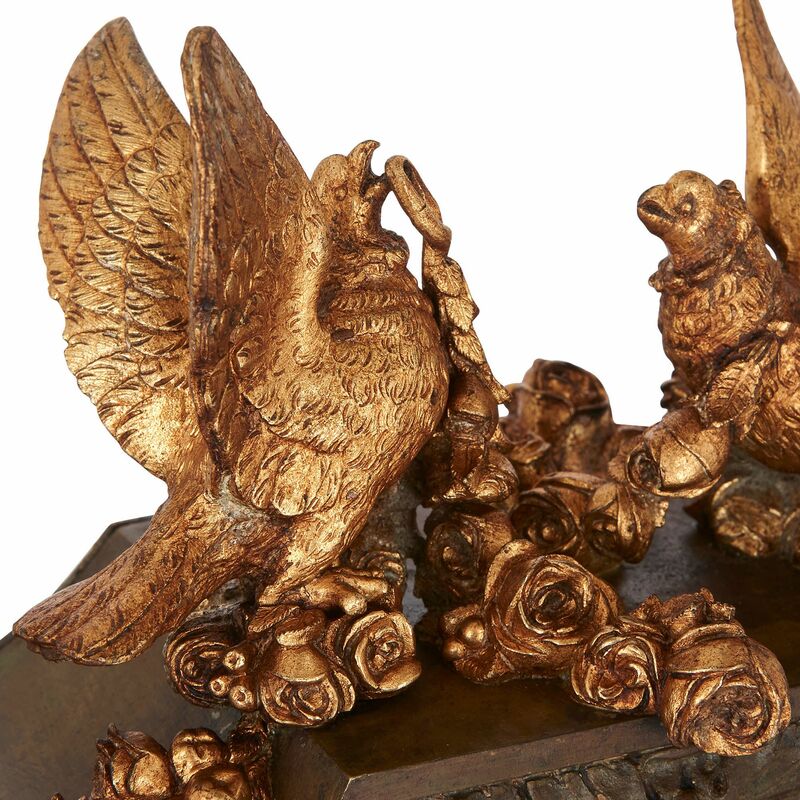 The piece consists of a tall bronze body, with a central, circular metal dial, which is supported on four scrolling gilt bronze feet, and topped by two gilt bronze love birds. 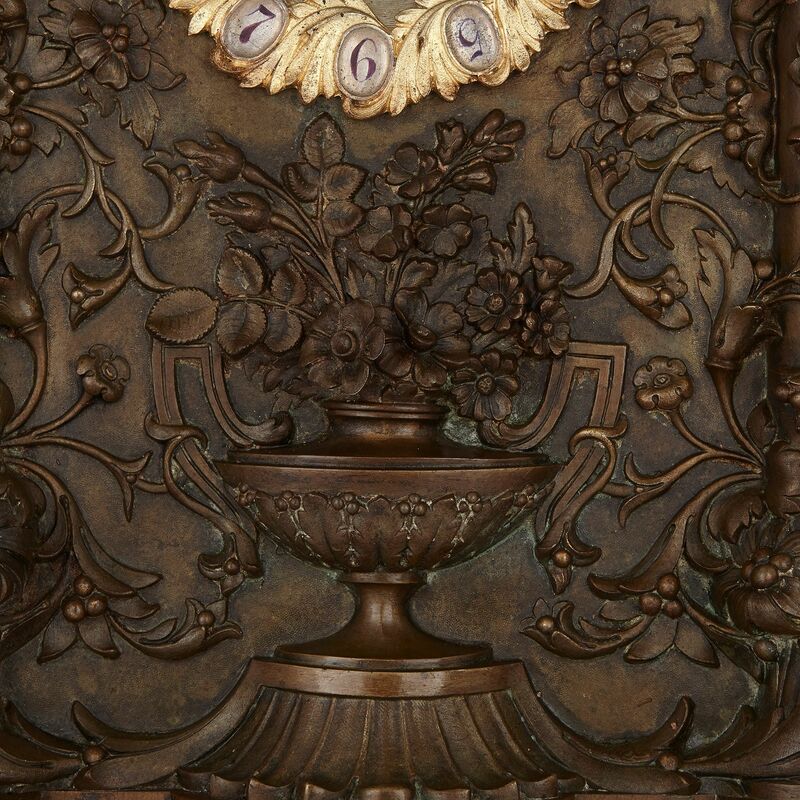 The clock is raised up by two gilt bronze feet and a central mount, which take the form of scrolling vine-like forms, with clusters of grapes growing from them. 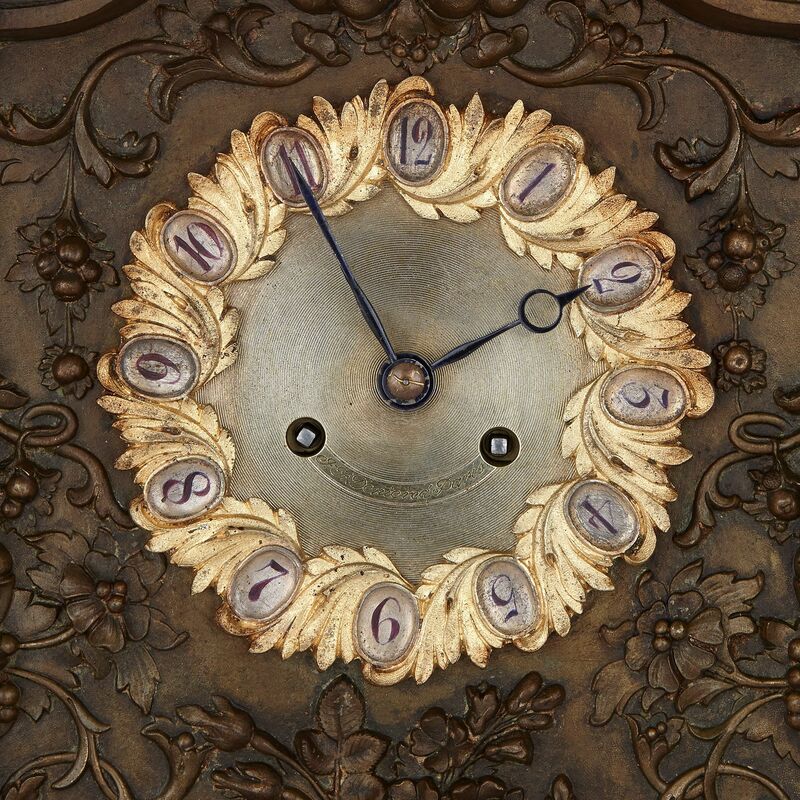 Above, the tall, rectangular bronze body of the clock is covered with floral decoration. In the lower area, there is a classical vase full of flowers, which is flanked by classical columns, with flowers growing on and around them. 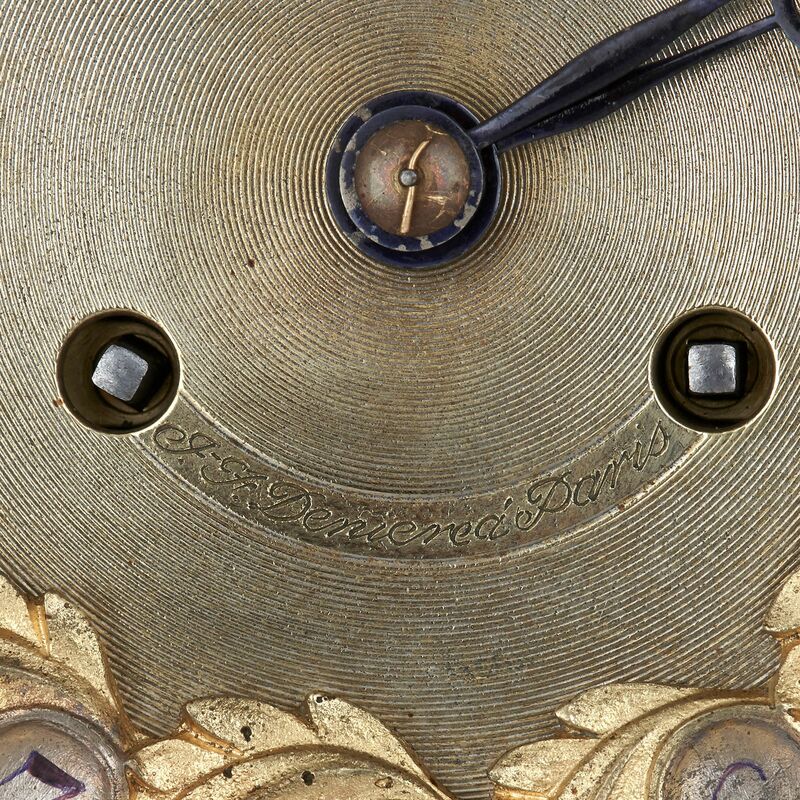 A circular metal clock dial, with Arabic numbers and a foliate gilt bronze border is positioned at the centre of the body. Above, the columns support a shaped frieze, which is decorated with strapwork and foliate motifs. This is surmounted by two gilt bronze pinecone finials and a pair of lovebirds, perched on a floral swag. 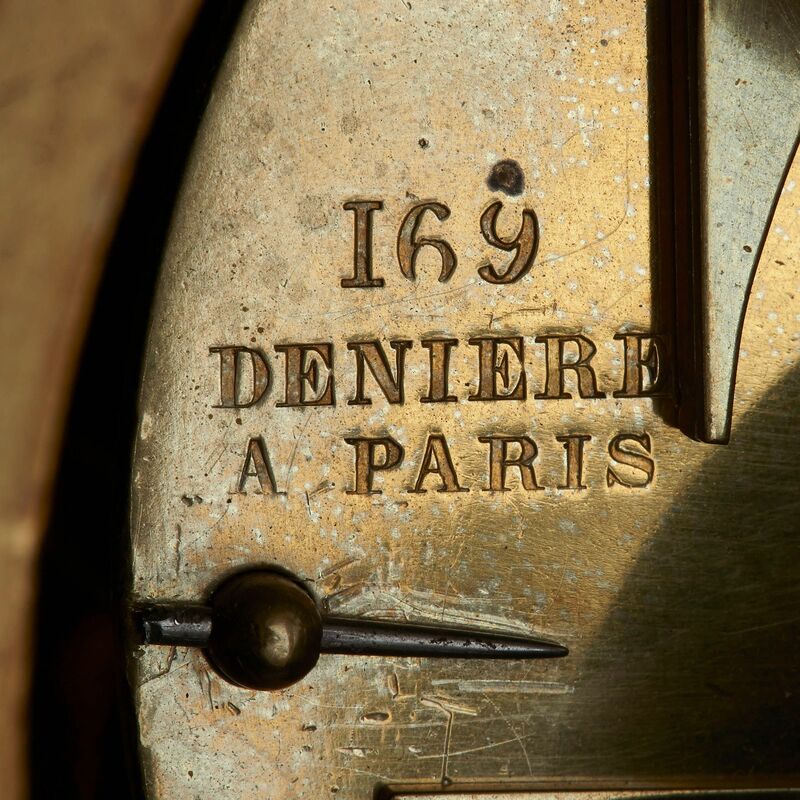 'J.-F. Deniere à Paris' is inscribed on the metal dial, and the movement backplate is stamped 'Deniere / A Paris'.